Customise your own journal/tote bag / t-shirt with your own brush lettering handwork! 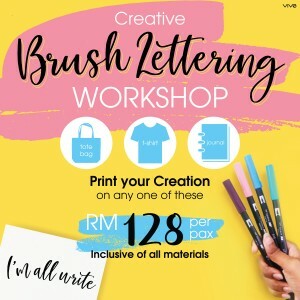 Find out how at our workshop at only RM128 per person. Create an immersion of colours, hue and tones. We teach you the basics and you can walk home with your gorgeous printed item!